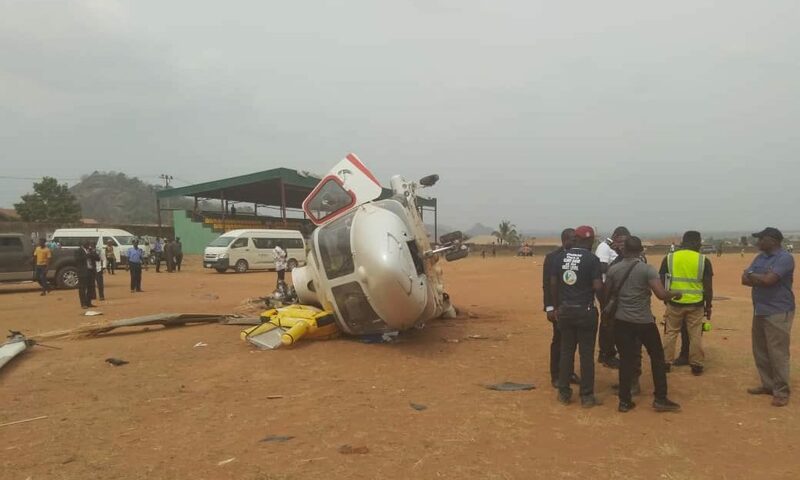 Vice President Yemi Osinbajo has thanked Nigerians for their concern following the chopper incident earlier Saturday in Kabba, Kogi State. 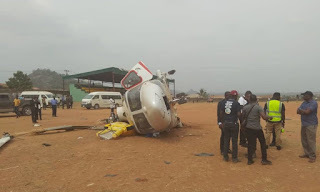 The helicopter carrying Mr Osinbajo crash-landed after a landing incident, but there were no fatalities. The vice president’s spokesperson, Laolu Akande, said Mr Osinbajo was in Kabba after the incident and continued with planned meetings. “We are safe and sound. Thank you to everyone who has expressed concern, and thank you to the crew who managed and the situation well. We believe that God will continue to keep us and Nigeria safe even as we go higher. We continue Next level engagements in Kabba, Kogi State,” the vice resident was quoted as saying. Speaking at the Obaro of Kabba’s palace, his first stop after the incident, Mr. Osinbajo expressed gratitude to God for the safety of all occupants of the aircraft. “We are extremely grateful to the Lord for preserving our lives from the incident that just happened. Everyone is safe and no one is maimed. God has kept us safe and alive, delivered us from death so we can do more for our people and country,” he said. Details of the crash still remain sketchy, but an amateur video that appears to have been shot immediately after the accident shows the chopper lying on its side with its wrecked rotor blades nearby. Occupants of the craft could be seen climbing out of the fuselage onto a dusty field as shocked bystanders watch. A host of top politicians across political aisles took turns to congratulate the vice-president for escaping the harrowing crash unhurt. Former Vice-President Atiku Abubakar and Senate President Bukola Saraki were amongst those who have expressed concerns over the development.